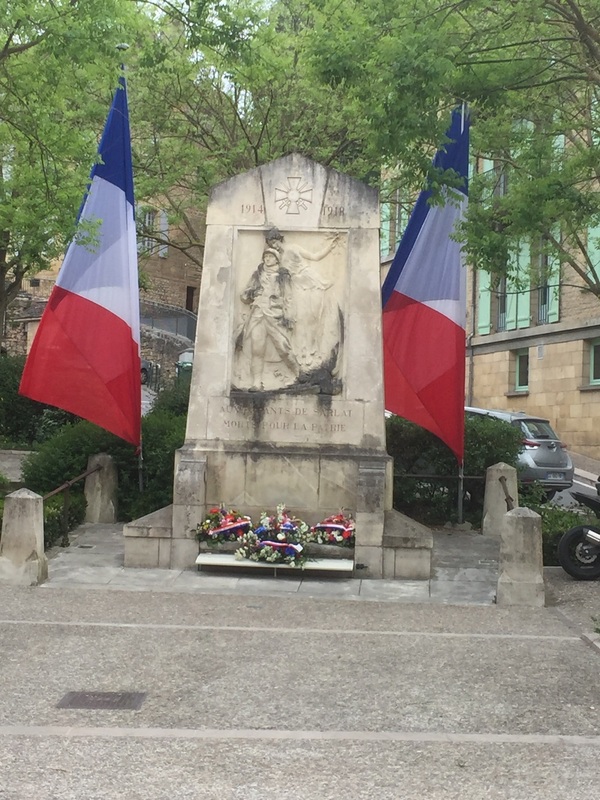 Today was Liberation Day in France (also known as victory in Europe day). There were celebrations and decorations in the villages. V E decorations on the monument in the Square of May 1945 in front of our hotel. We visited a few of France's most beautiful villages today, the final day of our workshop. We enjoyed our two weeks together painting and touring.